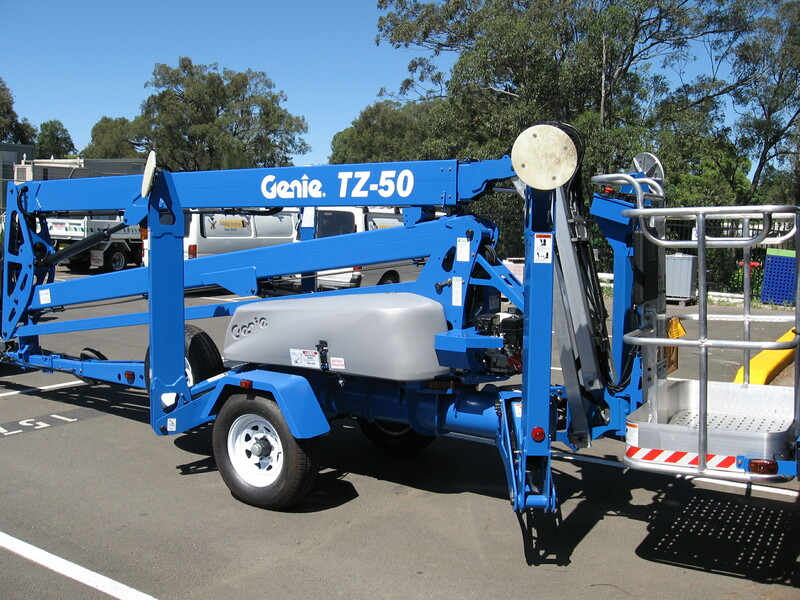 Genie trailer-mounted Z-booms feature an outstanding operating envelope, making them your best value to reach jobs high and low. Both the Genie TZ-34/20 and the TZ-50 feature the exclusive Genie Automatic Leveling System for self-leveling on any terrain, resulting in a faster setup that gets the job started and finished quicker. The TZ50 has a compact, narrow design that is easy to maneuver in congested work areas. Ground and platform controls utilise symbols to simplify operation, and optional Drive and Set feature lets you drive the unit from the platform when fully lowered. 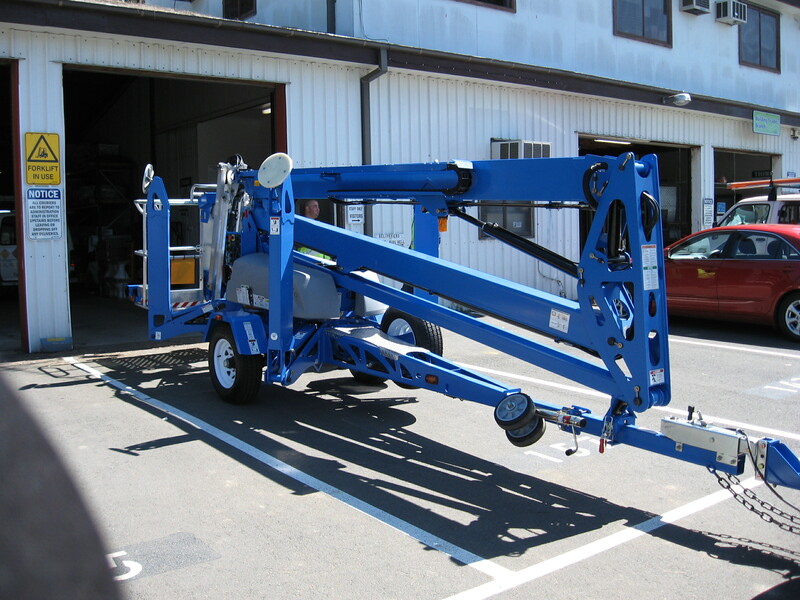 It also has; easy access to batteries — just release the clamp and remove the cover; 359˚non-continuous turntable rotation AC power to platform; an Illuminated outrigger indicators and tilt alarm/sensors.